← birthday week: day #1 cleeshay. The weather has been so beautiful recently. There was no rain this weekend, so everyone went out and enjoyed the sun, including me! We thought, “Oh, what the heck?! 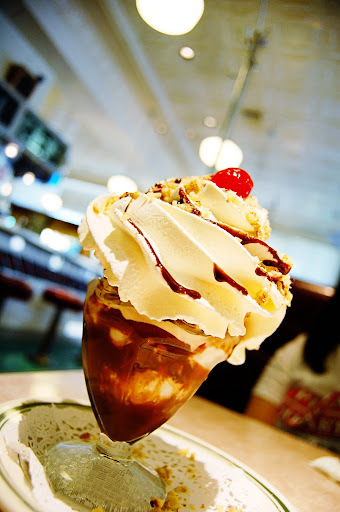 Let’s enjoy life and get an ice cream sundae!” …and we did just that. 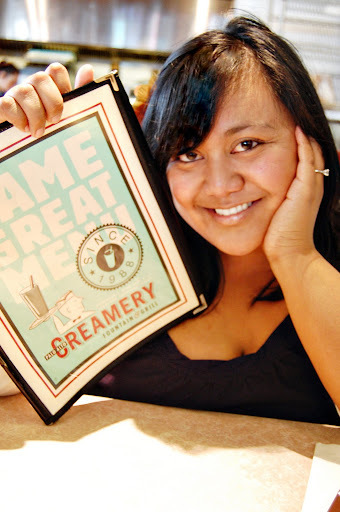 We drove to Palo Alto Creamery to cure our sweet tooth cravings. Talk about sweet heaven! Hmmmm, what should I get? She only picks what she wants! Picky! After satisfying the sundae craving, we roamed around the Palo Alto Hills and ended up in Portola Valley. There was no agenda or plan as to where we were going (we do this often just to explore and enjoy life). We just kept driving further up the road because we thought the road might take us to the other side of the mountain. In that case, we’d end up at the beach.. Unfortunately, the road came to a dead end, so we had to turn around. ((Gloria, if you are reading this, this is how close we were to the ocean. Those hills are Portola Valley.)) Knowing that we are about half an away from this makes me love where we live even more! I knew it was not that much further. Apparently, the area is known to foster lots of deer and mountain lions. No surprise there! On our way back down, a deer jumped into the middle of the road, stopped, and looked right at us, haha. Good thing it was a deer and not a mountain lion. Now, for the scrapbook updates! TAAFOMFT‘s current challenge was posted today! Scrap your favorite beverage, share it with us, and you could be our next winner. To tell you quite honestly, my favorite drink is water; however, for this challenge, I could not resist working with a picture of a milkshake! Mmm, mmm, mmm! …so I misted on this one too! 😉 Okay fine! I admit it’s become an addiction. I can’t help how fun and messy it is! The messier… the better, right?! Lastly, I wanted to share a layout I created for my good friend, Julie. The picture she sent to me was perfect to use with Imaginisce‘s Lucy Bird line. It’s so girly and so pretty just like Brookie, Julie‘s daughter. 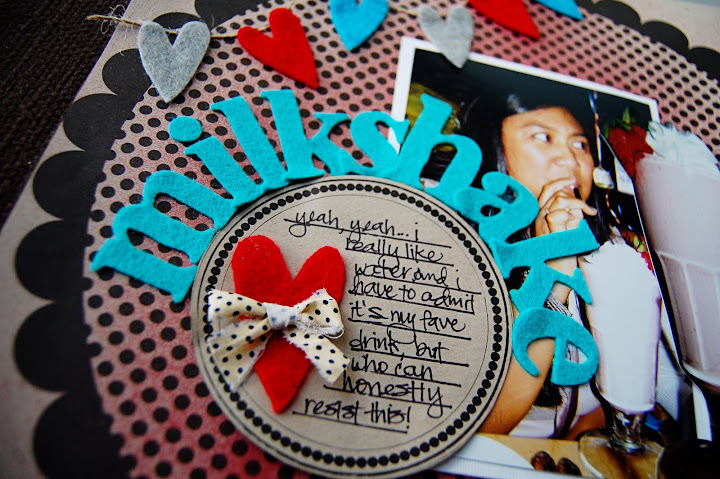 If you like the design to this layout, please head on over to the Ideas for Scrapbookers blog. I posted Pam’s template along with my layout for today’s post. Click here to see which template I tinkered with. The template was really simple to use, and I’d love to see what you can do with it! I want a sundae! Great los and I love the view!!!! gloria — if you read this, i’m finally cutting up that sass pp you got me. hah. oh, and you are right…. that house in the back got totally remodeled… weird…. The milkshake LO is so yummy! Makes me want to go to McDonald’s for an extra thick chocolate MS! By the way, I am also jealous of your nice sunny days over there. It’s still cold and damp here in Canada! such a beautiful scene! 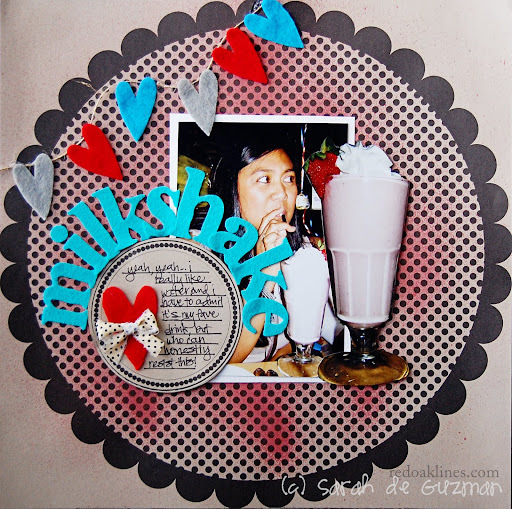 and what a yummy looking treat – and what lovely layouts – that photo of Brooke looks perfect with your layout. Keep em coming – I always love to see your layouts! i google mapped where we were. 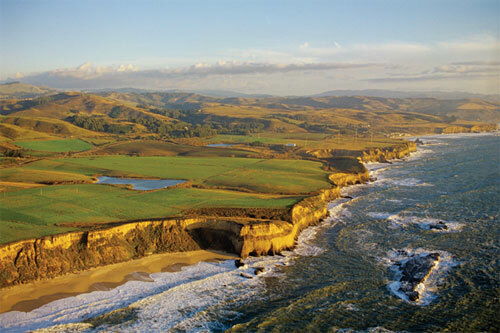 had we taken portola valley into 84, it would have dumped us into san gregorio or pescadero. we should do the trip some time. i am sure there are some absolutely lovely towns on the way. i look like such an ice cream monger! we went to a “legendary” steak house tonight. i must say, it has been one of the better steaks i’ve had in a few years. anyway, love your recent LOs. i need to finish some things up for a partner before hitting the sack though. le sigh. is it wednesday yet? First the sundae, and then the LO of the milkshake, what are you trying to do to us? I was fine now I want icecream! LOL. that imagnisce layout is so pretty and bright, my kind of stuff! beautiful layouts! and that icecream looks so yummi! 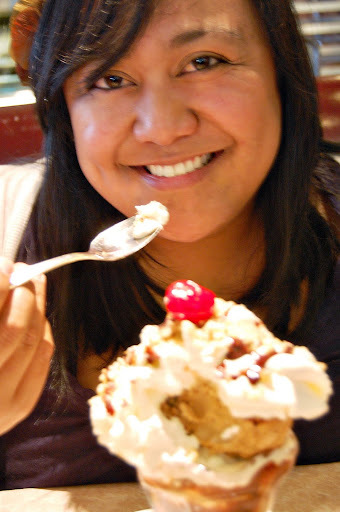 mmmm that sundae looks delish! I enjoyed reading about your trip and the market…it all sounds so fun and cheery! love the heart felt banner on “milkshake” and lovin’ all the misting on your new projects!!!!! 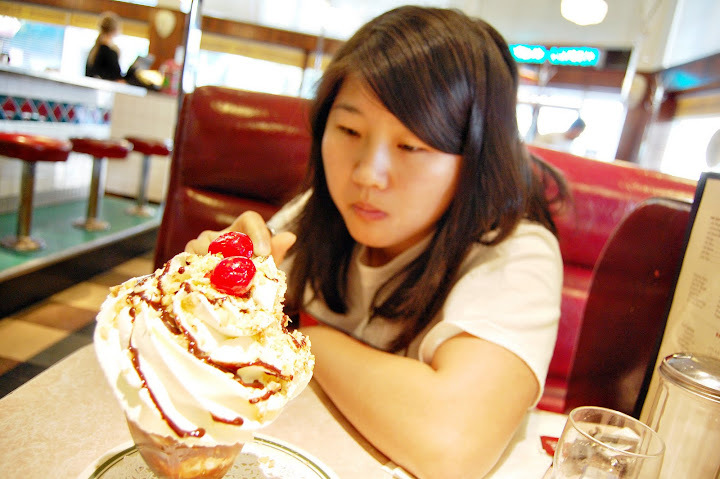 That sundae looks super yummers!!!! And those layouts are freaking beautiful! I saw that milkshake one and was like “Sarah misted! Yay!” Isn’t it soooooooooo addicting???? I can’t stop! And that Brookie layout is just gorgeous! I hope you have a wonderful birthday week! yum!!!! can I have some??? that lo is so cute… love the way you did it… just lovely!!! have a wonderful birthday week!!! Loving all of you LO’s Sarah! Happy almost birthday and yeah…now I want a milkshake too. awww great photos! those sundaes look to die for!!! and I love those new layouts!! especially the heart banner one!! great colors, great pp combos!! Just an awesome job, love! Wow, you live in such a beautiful area…I think I’d go out exploring a lot too! Love your LOs!